Runa gave the occasional nod as Mara explained matters. Only when the paladin was sure the songstress had finished did she clear her throat to add her own thoughts on the matter. "We will leave word with the Constabulary back in Lepidstadt when next we reach the city and either return to drive the creature off ourselves or see that someone else comes in our stead. Until then you should give the place a wide berth. Phidolis seems to believe it pregnant so it may be even more territorial than what is the norm." Turning to Mara, she comments. "What do you say, Mara? Do you think we have enough evidence for you to present it tomorrow in time for it to be of use during the trials?" She paused. "It sounds to me like you have it sorted out, but do you need for us to work through it this evening, so you have a clear idea of what you intend to present?" “As for the quantity of evidence … our findings should be more than sufficient. After all, Pike certainly seems to think so, with how he hurried back to ready the carriage, and I would think that his judgment counts for more than any of us in this matter.” She glances at the door. “Speaking of which, we should be on our way soon. It would be desirable to return before nightfall, if possible, and you yourselves have a much longer journey to Hergstag ahead of you.” Her eyes flick questioningly to the dwarf and gnome, wondering if they would continue to gather evidence with Pike and Runa. Muncha Cruncha Fido doesn't turn down the meal, digging into the stew with an eager appetite. The others discuss the next step and it becomes clear from that conversation that they're sending Mara to testify. He nearly chokes on concerned laughter at that, covering it with his hand as his eyes tear up. The fact that she was clearly the most subject to her emotions among them is not lost on him. A bit of proper prodding from the prosecution could be disastrous given the city's predisposition toward the creature's guilt. His mind lingers over the things they've collected and he pushes the stew away, pulling paper and ink from his pack. 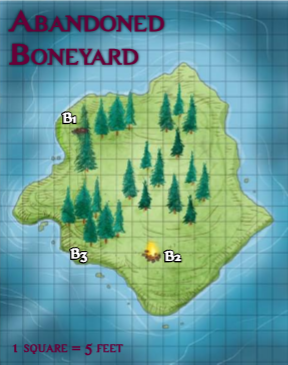 "Yes, the boneyard is dangerous now and likely all the area around it. The manticore may hunt as far as your village as food grows scarce. Keep to your homes until something can be done. If you can pass the word to anyone who comes through, that would be best." The way he ends that suggestion abruptly suggests there is more to say, but he clearly isn't saying it. Instead, he lets the pen drag lines across the paper. He soon reaches a point when his brows furrow and his jaw sets. There simply weren't enough details here to outweigh eyewitness testimony. It was entirely possible that the beast was here, even if he wasn't responsible for the attacks. It would very difficult to prove otherwise. "Lady Mara." A breath inhaled as he pulls the stew back toward himself. In truth, with Mara and Hrani both gone to Lepidstadt he imagines the trip to Hergstag will be a comfortable one. "Have you testified at a legal hearing before?" He doesn't pause, seemingly convinced she hasn't before he asked the question. "Avoid 'I believe' statements or suppositions. Prosecuting counsel loves those. Stick to what we know, which I'm afraid isn't much here. Of everything, the potion of nightseeing seems the most out of place. Your Sullivani, being what he is, would have no use for it even if he was taking the bodies. Odd, yes, but hardly damning. It may be enough to put doubt in the minds of the judges, though. Hopefully Hergstad will provide more solid evidence to support your case." The stress on 'your case' indicates that he, himself, is still far from convinced about the creature's innocence of all the crimes placed on him, even if this one was clearly something else. "Goff, if I might borrow you for a bit of grim business." The face retrieved from his effects, the cloth that holds it unwrapped so as to show it. "My apologies, but this could point to evidence. Moreso, I don't like the idea of leaving the dead a mystery. Can you place the features of this face?" The group separates, for reasons that are note entirely clear to anyone but the one who leaves the group: Pike has reason to be alone right now. And so, off he goes, and in the others go, food offered and partaken of, in some but not all cases. Goff himself indulges, listening and looking. At the mention of a Manticore in the Boneyard, he seems to go bone-pale, his drab ruddy skin bleaching quickly and fully. It is a terrifying thing. "A... a Manticore? Like the legends of ol' Azlant and such?" Everyone knows the tales of yore, even small villagers like Goff. "Good thing we ain't been out there. No, we ain't had no missin' Dwarves; we ain't got no Dwarves here at all, I reckon, 'less you count the shorter folk. And they ain't Dwarves." He looks whimsically out the window, barely catching that there's something else they found there. A face. "Say whu—" When the evidence is presented, he covers his mouth, eyes wide, somehow paler than bone now. "Dreams 'nd nightmares, I.... Portea?" His voice cracks, reaching for the face of the woman. He recognized her instantly, adjusting her so that the corners of what her cheekbones would be come into place, putting fingers, stubby fingers, on the holes around the eyes. "'member seein' her, a few times 'fore the Horror came. Her eyes were diff'rent. We grew up together, see. Her eyes were real green, when normal-like they were, well, more golden than brown, but brown. Had a ring 'round'em, but in those last few days, where she was queer-actin', she... she had green eyes." He looks away, covering the face up. "She's dead, eh? 'splains her disappearance. Her folks'd want to know." He looks out the window again, more defeated. And another question: the nature of their bodies. "We're normal folk, see. Simple life, simple 'pinions, simple deaths. But we age real slow. Other people get real old fast, but it's.... it's like our skin's made of sterner stuff. Had a few scientists, philosophers, come to us, try'n'a see if they can test us. We turn'em away. We aren't nobody's subjects, y'hear? We wanna be kept to our own. When the... when the bodies were bein' taken, we knew why. Fresh bodies for the Horror. Fresh blood." By now the debate is fully underway between Fido and Hrani, and it's not too deep into it that, after the Elf's piece, the villager speaks up. "I'm! I'm... I'm startin' to have a headache. If y'all don't mind, leavin' me to my own? Take the food you like. Y'all come back when you can, but.... I got a lot to process." He is flustered, his lips suddenly dry, his face still pallid and pale. He smiles to Mara, but now offers his hand to no one. Right where they expect it, the carriage awaits, with Pike smoking away on it. And not a moment too soon, they're ready to go. The sky smells of tension, and soft, deep earth. Out of Character Alright, spell out for me your plans in-character, and we'll get ready for the next steps, ye lot. “But of course,” Mara nods politely to Goff, sensing his consternation, “we understand your desire to be alone, and shall take our leave at once. Thank you so much for your hospitality. It was an absolute delight to meet you.” A practiced smile and an elaborate wave of the hand accompany the soprano's exit. Though, out of consideration for Goff, she does not pursue their conversation any further within his hut, that does not mean there is no conversation to be pursued. She turns to the gnome as they make their way back to the carriage. “Thank you kindly for your generous advice. It does so warm my heart to see you taking such an interest in our case.” She returns Fido's slight emphasis with a sweet, sweet smile. “I shall be sure to mention the potion first and foremost, as that is undoubtedly the most striking piece of evidence.” She exchanges a glance with Hrani. Clearly she does not altogether trust the counsel of a recent stranger whose employer and motives remain less than perfectly clear. Or perhaps she simply doesn't like being told what to do. Signy had been quiet during their short trek back to the village and afterwards during the conversation with Geoff, still preoccupied with considering whether it was truly wise to not have dealt with the manticore. Before they leave she does take note of their host’s words, however. That people in the village tend to age slower. It certainly does serve to raise an eyebrow and get her to thinking. What could have cause that? Especially if it affected a whole village? That seemed to preclude a specific ancestry. Maybe there was something special about the surroundings. She did consider asking Geoff a few more questions, but then decided to let him have his peace instead. Outside at the carriage she thought about Mara’s question, regarding the horses dubiously. She wasn’t a great fan of riding. "I suppose so." Not much more to say about it, really. It should work out as long as it was just a simple riding from one place to another, without any idea of fighting or going faster than a walk. There was one other thing she wanted to address. Climbing up onto the carriage again she turned to Pike: "Was there any indication as to the identity of the dead dwarf? Any way to know if we could inform kinsmen of his about his death?" Pike nods his approval at Mara as she tells him about their meeting with Goff "Aye, we make what we can with what we've found." he says, words aimed at the songstress as she is the one to take the stand at the trial "Just make sure you present our findings with a clear head, these people care little about positive emotions towards our client. Speak your words before the jury as if they were cold, hard facts." he produces a tired smile as he moves to get the horses ready, stifling a sigh at Mara's words "Adequate, yes. Ideal, no." he says with a hard smile "We dwarves might not be as tall as you but we take up the same space on horseback. Something to do with the fact that we do not stack. Fido, however, we can just stuff inside one of the saddlebags." he chuckles, shaking his head. Signy's question pulls him back into somber mood "No, but I intend to find out who this gentleman was once we get back to Lepidstadt." The Pile Gets Bigger "Enough." Fido waves a hand in Hrani's direction, scooping up his pack and replacing the face within it. "I don't have the energy for an exaggerated yawn so you'll have to pick up on my disinterest in your opinion through other means." Shouldering the pack, he stalks toward the door as Goff urges them out. "Remind yourself next time you want to point your words at me, elf, that regardless of my thoughts you still have to convince the judges of this creature's innocence. And the prevailing belief in Lepidstadt indicates that you're going to have your work cut out for you. Justice isn't guaranteed and public opinion is a strong motivator, which is why we are out here doing this damnable investigation in the first place. But feel free to alienate assistance at every opportunity." He is first out the door but last to the carriage, having chosen a wandering route to the destination in order to cool his head. He could handle the accusations and berating under normal circumstances but this case, the brutality and horror of it, made his tolerance fray. He was certain when he set out on the case that they would kill the beast. The execution would be as much of a spectacle as this whole sham trial. But when word of independent investigators came along he could swear he felt a shift in the wind. Now, having traveled with them, he was far less sure. Pike was a talent, for certain, and while Runa could chill his blood with her glare she seemed like a reasonable intellect. Logic over emotion, reason before reaction. The others, though. Would they falsify evidence to support the story they've so convinced themselves of? He'd seen it before, good intentions and the path they lay. Arriving at the gathering in time to catch Pike's jab, he finds an easy smile. Good-natured ribbing...now that is something he could get behind. "Oh, yeah. Laugh it up, big boy. When we get back to Lepidstadt I'll pay the stableman to groom you, too." He hooks his pack onto one of the saddles, choosing his ride at random. He could ride along with either of the dwarves easily enough. Papers rustle within his traveling cloak as he clambers his way up the mount. Last edited by PopCultureBard; 11-29-2017 at 11:47 PM. In a way, it is funny that Fido is having his argument about emotions and preformed opinions with Hrani, because the elf might well be the person in the group who has had and still has the most open mind about this whole case. Mara, and most of the others, seem more predisposed to believe in the beast's innocence. Fido, and by extent Hrani assumes the same is true for Signy who hasn't voiced an opinion of her own, seem predisposed to belief the beast should be executed. The magus, meanwhile, really doesn't know. And has no personal stakes in the matter. Hell, he hasn't even met the so-called beast. He might think the whole spectacle Lepidstadt is making out of things is primitive and barbaric, but if Sully, as the others have named him, really committed the crimes he is accused of, Hrani cares very little whether his sentence is execution or not. If he's innocent, well then it would certainly be preferable if he weren't executed and set free instead. Still, the elf probably wouldn't lose too much sleep over it even if they found out the beast is innocent but fail to save him. Hrani doesn't get into a further argument with the not-as-objective-as-he-thinks investigator, however. It is clearly pointless, as he seems to follow the mob in Lepidstadt in believing Sully must die. They'll need more than a lack of evidence to convince the mob and the judges, of course. But a neutral investigator should see things differently. In any case, the elf doesn't really have time to get into it with Fido any further anyway, because he is busy carrying on a discussion in his head with his sword, both about the possible causes of the locals longevity and possible advantages it might have. Both he and Orenmir are fascinated by the tale, if it is more than just story. Understandable that someone would have wanted to study the bodies. Who really stole them is the question, though Hrani can immediately come up with the name of one dark and sinister organization who he wouldn't put it beyond. And who, come to think of it, might already be using the beast as a scapegoat for another crime. "Yes, two horses should be enough." Hrani agrees. Of course, right now he would be willing to get up there and pull it himself if it got him away from the self-righteousness of some of those currently present. "As for what our friend meant by 'the horror', wasn't the Dimplemere Horror...or something along those lines...one of the names used for the beast? Sounds to me like all he is doing is confirming that they never questioned why the bodies were disappearing because they already thought they knew who to blame..."
As they are about to depart, she looks expectantly at Hrani—there is little doubt who will be the driver—then opens the carriage door, only to be greeted by an intense haze of cigar smoke that is thick enough to obscure her view of the interior. With watering eyes and an indignant, sputtering cough she quickly closes the door. The soprano glares daggers at the hotboxing detective, and for a moment it seems as if she might insist that he rides three to a horse, or that the gnome and horse ride Pike instead. The group determines among themselves the nature of horses, who gets what, and banters a bit. It will be good for them: for where they are going, there only darkness lies. Two for Lepidstadt, Hrani and Mara going to continue investigations on articles such as the surgeon's tools and to assist in the legal case. Runa, Pike, Fido, and Signy going forth to Hergstag. Morast has yielded good information, but how much can the dead reveal? For Hergstag, there is only the memories of those dead children: slain by the Beast of Ledpidstadt. And so, they ride together, for a time, the horses for the most part unbridled and coming along. They head back the way they came, through the marshlands of the latter part of the Lepidstadt Hinterlands. It is no warmer than it was earlier, and now in this afternoon swelter of barely-tolerable-coolness, there is a good chance that it will get no hotter. It might even snow. But coming to a workable bridge, there is a parting of the way, a Y-shaped intersection: where south it goes to Lepidstadt, and where north it goes to Hergstag. Small hamlets interrupt that journal, as does Sanctuary and several more on the way to Lepidstadt. The group parts. To Lepidstadt Lepidstadt seems somehow bigger now, looking back over it. The two arrive as the sun continues its downward trek, not quite at equilibrium in the year, as the equinox is at least a few weeks off. The night still rules the day, and in Ustalav especially, this will remain true for a time longer. But then, in Ustalav, when does night not rule? No, Lepidstadt seems all the larger still, for a myriad of reasons. If there is a new force in this, a force that robs graves, that means that, in all likelihood, it's a force that robs outer communities to bring the body to Lepidstadt, where it would not be suspected. And beyond that, there is prepping reasonable doubt for the case with regards to Morast. Kendra, Jamir, and that attorney must be prepped, and Samovar, Andrzej, and Carlo are all available resources. Plenty to work with. Northgate remains open, but two guards now man it, stepping forward as the carriage arrives. A woman in a red cloak, turning and looking back, smiles to Mara, her eyes an emerald shade, vibrant and true. She quickly turns away as the two guards approach, both recognizable from the Courthouse. "Papers please." What? What papers? To Hergstag The trek from the parting of the ways to Hergstag is noticeably and audibly different. The further from the part they get, the more quiet it gets. Less birdsong, less wind, more... dreadful silence. The small hamlets show signs of similarity to what they know of Hergstag: a religious community, to a strange cult of Desna that resembles not the Dreamer that even a casual observer might now, the symbology remains the same. A butterfly, but simple beyond depiction. No bright blue hues that would draw attention. No, merely a simple butterfly drawn into posts, carved into trees. This western part of the Dipplemere Swamp is no less wet but altogether more hilly, more farmable, and more friendly to habitation. Morast was remote; Hergstag is too, but for a different reason. They spy a hill in the distance, and hear the running of gentle waters, but where civilization might once have been, now the village is overgrown. Weeds grown high, a winter wheat of considerable power, it is hard to see the village itself. At the outskirts is a house, abandoned, weeds growing in the yard and the gate hanging off the hinges at the fence. Which houses belonged to the children? Six, were there? Seeing roofs over the hedges, this was a sizable village. But up on the hill, the group spies a scarecrow: it looks down, menacingly. Running water is deep here, with a lake nearby, and a house beside it. It is visible, the weeds less grown there, but the road does not readily lead to it: instead, they must travel the road to cross the ford. Obviously we're splitting the party, so I'll post accordingly. To the Lepidstadt group, obviously Diplomacy and Intimidation will be useful here. To the Hergstag bunch, roll any and all checks that might assist you. We have plenty to do and I'll provide a map depending on what people know and what resources might have been gathered. I don't recall asking for the sisters to make a map, so you have no idea which houses are which with regards to the children. What you do know is that six were killed, the Beast knew one's name, and was driven away. The real Beast, too, by the sounds of the stories. Our two newcomers may have further information depending on checks. Last edited by Sassafrass; 12-06-2017 at 12:47 PM. En route to Lepidstadt As odd as it might seem, the ride back to the city is not entirely unpleasant for Mara. Though the initial leg of the journey is marked by stoic silence and frosty glares directed at Pike, about a mile or so after the party's parting she appears to relax. Color returns to her pallid face as she begins engaging in small talk and pleasantries with (or perhaps at?) the elf; gradually she becomes accustomed to being alone with one who knows her secret, with no strangers around to eavesdrop, and allows herself to be free. She discusses how strange and arduous land travel is, in all of its forms—not only is one restricted to a confining two dimensions, like in shallow water, but the methods of locomotion are so rough and ungainly. She opens up about her family and past, lamenting the xenophobic nature of her race and asking Hrani about the nature of his kin: do they all shun outsiders in the manner of Mara's folk? Pike seems unfazed by Mara's glare, instead offering her a patient stare as if he's awaiting the inevitable, almost inviting her to lash out. Yet, when no words are pointed his way he simply mounts his horse and kicks it into motion "We'll see you back in Lepidstadt, good luck." Enroute to Hergstag he fills Fido and Signy in on what they believe to find there "From what we've gathered we actually believe our client was in Hergstag at some point and he had some contact with one of the deceased child there. However certain signs have lead us to believe there might be a malevolent spirit behind the disappearance of the children of the town so our job here is twofold; to establish what connection the Beast has to this place and what happened to the children. Runa can fill you better in than me on what type of spirit we might be facing." but Pike too becomes silent as they near the small village, feeling the weight of abandonment all too heavy as he looks over the empty settlement. Dismounting, he is quick to light a cigar as he glances about through furrowed brows "I'd like to seek out the houses where the children lived in before we do anything else, let's not wander too far away from each other." with that he walks into the center of the village, a faint trail of sweet smelling smoke following him. The dwarf looks at each house with interest, lining them up to one another and the surrounding before picking one to enter. Pike will try and figure out which of the buildings could possibly be homes to children and if any of the houses showed some signs of mourning having taken place there before abandonment. He will also take note of the surroundings and how it adds up to the testimony given by the sisters. Ghost Facers! "So what you're saying, then, is that we're headed to a literal ghost town?" It would not be Fido's first experience with the restless dead, but the last hadn't exactly left him eager to follow it up. Even less so with one that would, if the stories are to be believed, murder children. Still, where sword would fail magic was always a willing ally. He goes over the facts of the case so far as the horses trot along the path, his inability to make the proper connections, for guilt or innocence, leaving frustrated frown lines and furrowed brows. The appearance of rooftops over the untended weeds and grass marks their arrival, the anticipation much greater than the apparent end result warrants. "No argument there. Getting caught alone by a malicious spirit is not in my plan for the day. And before you ask, no I will not be bait regardless of how childlike I may appear." Fido uncurls a piece of parchment from the scroll case on his belt, the one positioned most like a sword sheath if one were to assess such things. Uncurling it with a snap of his wrist, the scroll remains open of its own accord, held at his side and at the ready. He scans the houses alongside the dwarf, his eyes drawn to the distant house by the lake for reasons only he can glean. A glance back to their armored company to reassure himself of their presence. "Now, then. If I were a monstrous, child-killing spirit, where might I hide?" OOC Activate Scroll Shield with Forceful Hand scroll, bumping AC by +4. Last edited by PopCultureBard; 12-11-2017 at 09:03 AM.